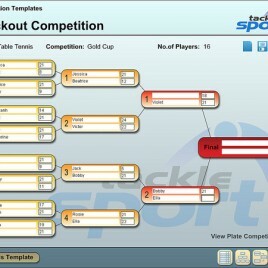 Tacklesport’s Physical Education software resources are relevant to the National Curriculum for PE across the Key Stages. Fitness and Health for KS 3 & 4 supports the Healthy, Active Lifestyles Key Concept of the National Curriculum for PE. The content of the resource has been devised to help teachers integrate this element into their teaching, whilst also helping pupils develop ‘understanding that physical activity contributes to the healthy functioning of the body and mind and is an essential component of a healthy lifestyle’. AssessED is an interactive, flexible learning teaching and assessment resource in game format designed to support pupil learning in GCSE Physical Education. Designed by Sheffield Hallam University the resource allows for ‘personalisation’ by teachers to ensure content is relevant and up to date. An interactive cometition template generator. Appropriate for any competition. Save, update and print your templates quickly and easily. Enable trainees, teachers and other practitioners to observe, describe and analyse learners’ movement. Enhance knowledge and understanding of motor development. Raise standards by promoting effective motor development, movement education and Physical Education. Assist those working with learners aged 7-14 to provide movement learning experiences that match pupil needs. Observe and analyse children's movement. Enhance knowledge and understanding of stages of movement development. 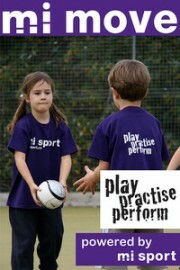 High quality movement education and physical education for children aged 3-14 years. Observing Children Moving includes over 90 video clips of children performing a range of movement capabilities (i.e. roll, block build, run, climb, throw, catch, write, jump, clay activity, gallop, kick, strike). 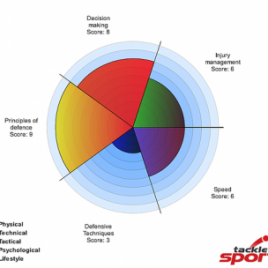 Evaluate participants’ performance (via a 10 point scoring system) in a variety of contexts. Create, save, print and share profiles using this simple interactive tool.